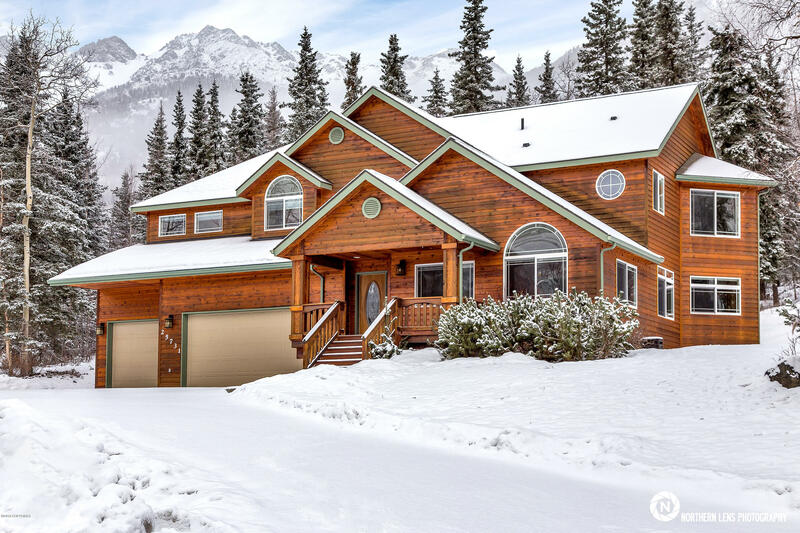 Expansive mountain & hanging glacier views, this home is one of a kind. Post-quake inspection with clean bill of health. All beds, laundry room, & a large rec room upstairs make for an ideal family floor plan. Main level offers an open layout w/ spacious kitchen & living room. 982 sq. ft. garage w/ the single bay at 36ft. deep! A versatile lot w/ useable acreage & a large RV pad. 4*+ energy rated.